Only one week after our beta release of Elementor, we have already reached over four thousand downloads, and over one thousand active users! We have some great new features coming up in the next few months. This week, we are releasing the spacer widget, which allows you to add custom spacing between elements. With spacer you don’t have to put much thought into margin, padding and custom positioning. You simply drag the spacer widget and play with the space between elements, without touching coding. 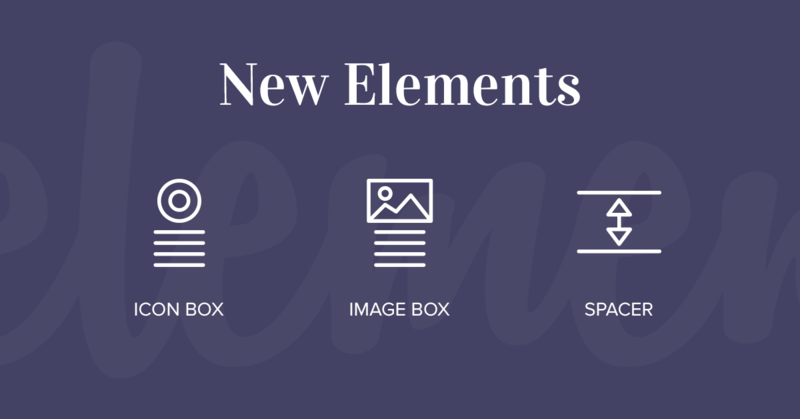 We are also adding an image widget and an icon widget, which are both great for creating a high-end and visual page design, and are especially useful if you want to build a features or services page. 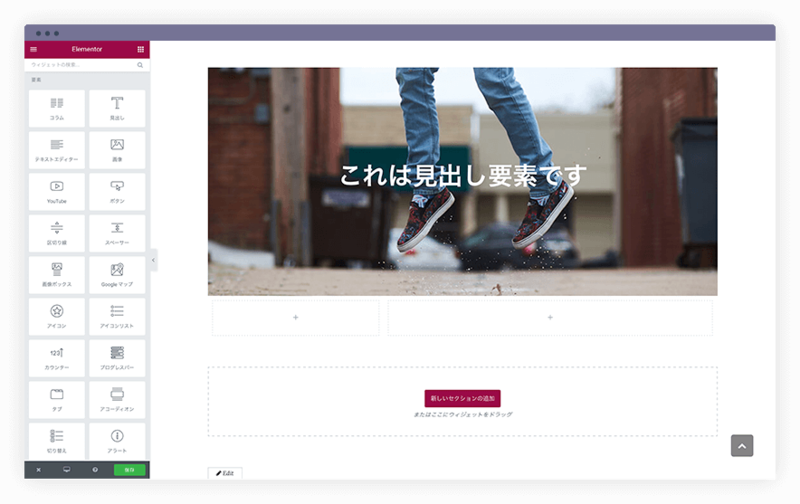 For example, if your product is super fast, you can display this advantage in a two column, one side with the heading and text, and the other with a lightning icon set with a color that matches your site’s color palette. Or instead of the icon, place a JPJ or PNG image of a rocket, to get a more realistic effect. 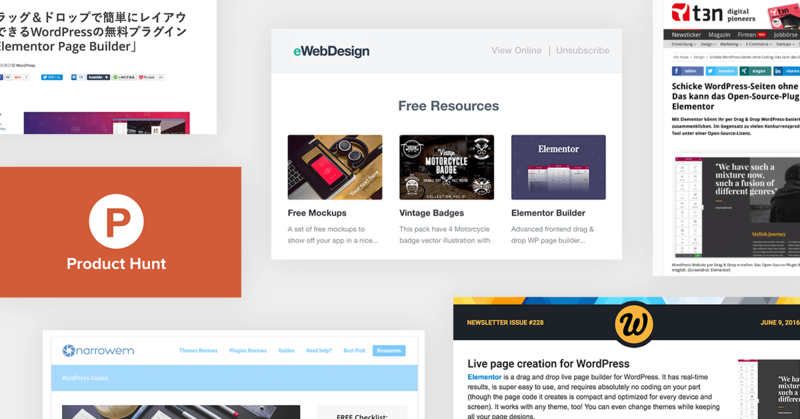 After our success in Product Hunt, as well as our appearance on the WebDesigner Depot and eWebDesign newsletter, two of the biggest designer publications, we are getting more and more attention from the WordPress community. This is wonderful, because we wish to create a plugin that will keep growing with the help of developers and other contributors. One of the branches of this growth, the translation of Elementor into other languages, has already started, with Japanese and Hebrew already complete, and German and French translations on the way. Translating Elementor is easily done from the browser itself, and requires no technical data. We invite you to take part in making this plugin multilingual. We want to include you in Elementor’s journey to a million websites, and that is why we are planning to publish a clear roadmap next week, which will explain about our vision, our goals and foreseen milestones up ahead. In the meantime, I want to tell you about the next widgets for Elementor, which are a grid gallery, a carousel and a slideshow. We’d love to get your suggestions for the next features and widgets you’d like to see added to Elementor. You can send these suggestions to our GitHub project. We have a lot more where that came from! Join 581,414 subscribers who stay ahead of the pack. Ben Pines is Elementor's CMO. He has been in the online marketing industry for over 10 years, specializing in content marketing. WordPress has been Ben's platform of choice since the time it was used solely for blogging. WOW, that’s a lot for a new plugin! congrats!!! Elementor is great so far. Why is it free ? What is the plan moving forward? It’s free and open source in order to gain the most users and the most extensions by contributing developers from around the world. We will publish our roadmap next week so subscribe to this blog and we will update you. Congratulations, very useful builder ! I’m not good at English. So, we use the translation function. I, interested in Elementor, we use. Also, I am not a professional is Web production. However, I saw a video and a variety of Web sites and videos of Elementor, but it does not work well. I want to more use Elementor, I want if there is an easy-to-understand how to use the material. It is also useful Tara staff purchases that can Japanese. I do not look for too much because it is a free plug-in, but was contacted in trouble because there is no support. I want you to tell me if there is a support center that contact can be taken. We will be publishing more tutorials soon. In the meantime check outdocs.elementor.com. You can also contact support through the forum on the WordPress plugin page. Guys you have nailed it and I am not able to express the joy that you guys brought out in me as a designer. Well done guys, this is a really good plugin and really fills that gap for admins. I have a few clients who have come from using Wix and they have noted that wordpress lacks the same kind of intuitive user experience (no matter how many custom fields i seem to build for them haha). I will start bundling your plugin with my own custom built framework. Just curious how come this article isn’t showing up in the blog roll on the Elementor website? I was watching a video on YouTube and they were talking about the beta program. A quick google search lead me to this article.